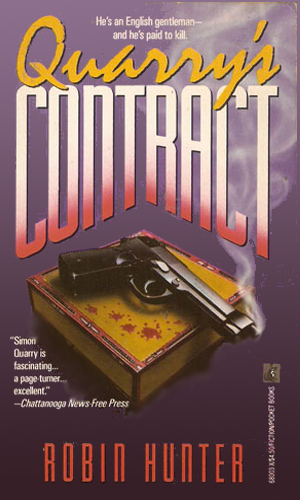 Simon Quarry is a freelance agent. He thinks of himself as a publisher of books, which really was all he wanted to be and it is his profession when the series starts. He is good at it; successful and well respected. His firm is by no means the biggest but it is of moderate size and even bigger reputation. He certainly has no desire for it to change for he has a good life with a much loved wife and two daughters and a great deal to be thankful for. Then terrorists strike an airliner in Athens and Quarry's wife and daughters are caught in the slaughter. Even more horribly, they are caught on camera dying. When he tries everything a successful, civilized man can do to get justice and is just met with fear, indecision, greed, and apathy, he decides he had to try something more drastic. Dropping the habits of a lifetime to become as blood-thirsty as those he needs to hunt is not easy but it was what Quarry has to do. And he proves he can be very good at it. His initial job is made a bit easier since the terrorists, feeling themselves safe from repercussions, are not exactly hiding. After training and getting himself in shape physically and mentally, he goes after them. That is the crux of the first book. The remaining two books deal with the aftermath of his actions, the reputation and recriminations and even reward that he faces from what he has accomplished, and the continuing need for someone with his newly developed skills and his attitude that he has nothing much to live for. Though he finds love again, the calls for his help keep coming. The murder of his wife and children by terrorists was devasting to Simon Quarry. So was seeing the killers let go to avoid international turmoil. He decides if governments won't get vengeance, he will. Simon Quarry thought he was being hired to rescue a young girl. When she is murdered, he learns that she, and he, are in the middle of a brutal war waged in the board rooms and in the streets. The British government wants Simon Quarry to strike at the heart of the Columbian cartels to slow the influx of drugs. When the kingpin goes after Quarry, the real war takes off. 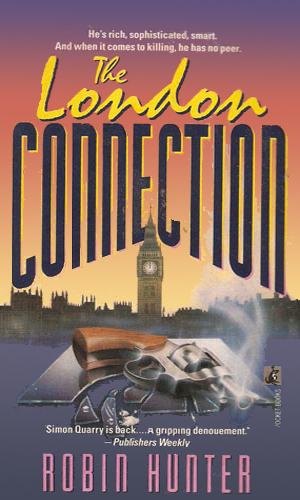 The first book in the Simon Quarry series was picked up for a movie, an action suspense drama about a man whose family is killed by terrorists and who is now out for revenge. 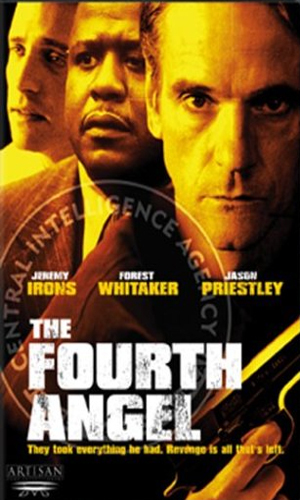 The plot is changed a good deal and the name of the character is different but it starred Jeremy Irons and Forrest Whitaker and with those two incredible talents, it is worth watching even if it is not Quarry. Jack Elgin is a reporter for the Economist on a working vacation to India with his family. As their airliner stops in Cyprus, a terrorist group attack it and Elgin's wife and daughter are killed. Wanting revenge, he is furious when all the governments involved seem to have their own agendas and no one is going after the group. He decides he will. There have been many books written about people forced to find their own revenge against horrible wrongs but this one really strikes an understandable chord. While the plot moves quickly, the author does not make easy mistakes. Simon Quarry doesn't go immediately from peaceful man to mighty hunter in a blink; he moves inexorably but logically as his options vanish one by one. 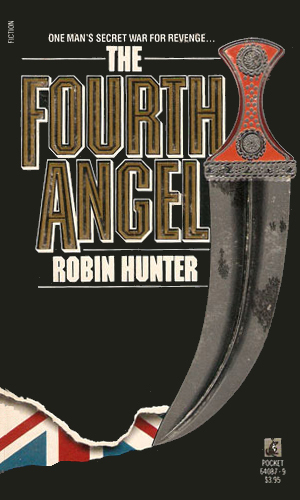 Mr. Hunter did a good job with the first book letting you understand the protagonist. His next two books don't let you down, either. The movie mentioned above is different than the book but anything with the terrific Mr. Irons is worth watching so I strongly recommend watching it if you get a chance. Be prepared to get emotional, though, as Mr. Irons can really show the pain of a man who has lost everyone.